Being your own interior architect is economical and with a little creativity, it is also an adventure and fun. But where should you start from and what rules to stick to, so that you succeeded? Some people are scared of empty space of their unfurnished rooms. Others enjoy it as their imagination starts to work and they look forward to planning every detail. 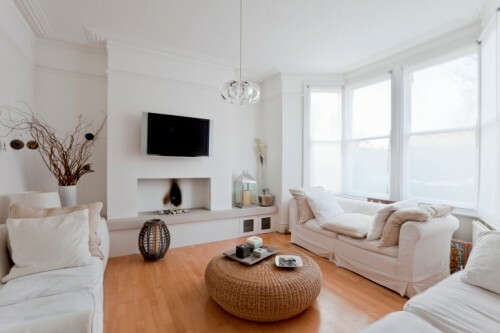 Whether you are creative or rather conservative, our advice will definitely come in handy when you are arranging your living room. Let’s face it – the latter is the better. Even though we have an unaware tendency to balance, the strict axial symmetry is suitable for arranging of Versailles, not of a modern flat. A striking symmetry seems rather disturbing, it gives the impression that people are obsessed with precision here and you must not touch anything in their household. This naturely does not mean you have to give up symmetry completely. For example, if you put small tables on both ends of a couch, there will be no harm. However, do not cling to the principle consistently. Our tip: Try to arrange asymmetrically even the room usually organized with symmetry – the bedroom. The beds need not to be always at the center of the wall and the bedside tables need not to be identical. Which Way The Traffic Flows? After you have roughly sketched the layout of the furniture, imagine the ways in which you are going to move around the room. Is the path to the window winding or blocked? It is the furniture unnecessarily lined against the walls and you could play catch-up in the empty middle of the room? Does the armair invite you to sit down or is it standing with its back towards the door, so you are feeling uncomfortable in it? You can also try to give up the classic seating position facing the TV set and center it towards a coffee table instead. While watching TV, the chairs can always be turned to a more suitable position. Eventually, you may find you are not tempted to do it too much. The idea of the strict symmetry should definitely be given up, but our instinct to balance the space optically is correct and there is no harm in following it. We can even say that the key to fitting a room is here: in balancing the ratio of mass without falling back to excessive symmetry. What does this mean in practice? The classic outfashioned living room meant a couch against the wall and a cabinet with TV set against the opposite wall. Because of many reasons, it is rather impractical solution today, but the balancing of mass works here, still. For simplicity, imagine that the floor of the room is a platform suspended on a steel cable at the point of gravity. Your task is to arrange the furniture so that the platform will not tilt and remain horizontal. The example has naturally its technical limits, but when designing you will see that it is helpful as a general guideline. Remember that the living room must be oriented to living, above all. It means it must meet all your requirements and must not impose barriers which would be unbearable and getting on your nerves later in everyday traffic. Your health is too precious. It may sound petty or fussy, but feel free to write down the requirements on your room, how many people will use it and for what purpose. Or better yet, consider how you used your previous living room. Will the new one allow equal, or even better freedom of movement? Our tip: Solve the items intended purely for decoration as the last ones. If they require space, it is always better to adapt decorative purpose to functionality than vice versa. The impression from each room is better if the eyes find at once an appropriate highlight that attracts their attention. In the case of a living room, it can be a painting above the sofa, a big bookcase or an antique coffee table. It does not naturally mean that the object should completely supress the rest of the furnishings or should not to suit to them. It just means it should lead the visitor’s eyes. The result is, the person automatically forgets a little the unaware uncertainty of the unknown space and suppresses it in favour of curiosity.